When Copier Analytics first met with the Vice President for Administration of NYU, and described the cost savings potential that we believed NYU would experience on its copy machines, he said “he was somewhat skeptical about their copy machines cost savings potential, that we were describing”. However, despite his skepticism, he decided to proceed with our offered analysis, because since our services were on a contingency basis, there was no risk or cost to the University. There would be no upfront cost to NYU to do the analysis and make our recommendations, and with our fee being success related, there would be no fee if there were no savings. If there were savings, our fee would be self-funded by the savings, “a win-win for the University”. We proceeded with our proven 5 step process. ★ STEP 2 of our process was ‘TOTAL COST OF OWNERSHIP DISCOVERY ANALYSIS (TCO)’: Here OUR Analysis discovered NYU’s Total Cost of Ownership (TCO), which provided a financial estimate intended to determine the direct and indirect costs associated with NYU’s copies/prints document production. NYU’s applied costing model included the purchase price, financing cost, supplier invoices, as well as direct and indirect costs related to the use and maintenance of NYU’s equipment, device and/or software. The analysis, combined with advanced benchmarking provided specific insights and comparison with the best industry practices, while validating current practices, identifying possible efficiency improvements and outlining options designed to reduce the University’s total cost of ownership. Is this a competitive market price for the services being provided? How do services, service levels, & terms compare to the market? ● Improved efficiency for administration, support and contract management functions. ● Increased user productivity and technology utilization. ● Document and device security review. ● Improved environmental practices and reduced carbon footprint. At the end of this step in the process, NYU received our Competitive Assessment Report, which included our recommendations for improvements and determined significant savings would be achieved with the implementation of our recommendations. At the end of this step, NYU had the option of approving the recommendations and proceeding to the implementation of the approved recommendations, or choosing to not implement the recommendations. With NYU choosing to proceed, Copier Analytics then proceeded to implement the approved recommendations with the last two steps of our process, steps 4 and 5. ★ STEP 4 of our process was ‘SUPPLIER ENGAGEMENT AND NEGOTIATION EVALUATION OF COMPETITIVE PRICING’: Copier analytics then engaged in the design and creation of both the competitive RFP (Request for Proposal) and the on-site assessment to support the drafting of the document. Our advanced strategic benchmarking capabilities ensured the most advantageous and cost-effective contract terms for NYU. Our benchmarking capabilities ensured a competitive rate structure that encouraged proper behavior by both parties for the service levels required by NYU, as well as assuring that they were entering into a properly structured agreement for both terms and charge mechanisms, accounting for NYU’s unique market factor, its requirements, as well as setting realistic and achievable results. ★ STEP 5 of our process was to ‘ESTABLISH A NEW CONTRACT WITH SUBSTANTIAL SAVINGS’: Because Copier Analytics is NOT a supplier, and has NO affiliation with any particular vendor or a manufacturer of business products or software, we were able to be 100% unbiased in supporting NYU’s procurement team in the vendor selection process, by providing performance metrics designed to project vendor efficiency and reliability. 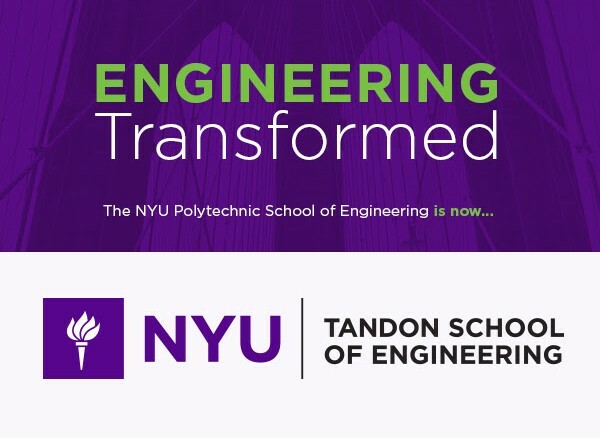 At the same time, we ensured that environmental sustainability and best practices in change management was integrally interwoven into NYU’s document production strategy. Copier Analytics worked with their staff to develop a vendor delivery and implementation program that insured that NYU’s savings were fully realized at completion of the project. for a recurring $1.8 million annual savings! over the 5 year contract term. Just wanted to let you know what a pleasure it was to do business with you and Copier Analytics. In my opinion, it’s not often that a company exceeds expectations, which is why I wanted to personally thank, you for the services Copier Analytics performed for New York University. When we first met and you described the cost savings potential that you believed NYU would experience on its copy machines, I must say I was somewhat skeptical. However, in short order you took our annual spend for copy machines of $4.5 million to $2.7 million for a recurring $1.8 million annual savings. And to my surprise, you accomplished this without any reduction in services, the same number of copy machines, and in some cases, copy machines were even upgraded. This was a painless process that was a win-win for the users and the University. There are strong business reasons to inspect your document management and production policy as these strategies have a long-range impact on effective communications and can affect your bottom line to a much greater extent than commonly thought. Copier Analytics provides our clients with technical support relating to Managed Print Services (MPS) as “the active management and optimization of document output devices and related business processes”. Hard drives, network and document security, document management, electronic storage and retrieval, digital image capture, mobile devices and cloud services have changed the way that people and organizations use images and content. The rapid change in multiple function print "MFP" technology necessitates a focused and highly specialized knowledge and skill set. Copier Analytics is all about dramatically reducing your Copier and Printer services costs.